In the world of web design, change is indeed the only constant. As technology and browsing habits evolve, trends become outdated and new opportunities emerge, so web designers have to come up with new, innovative ways to present information that, in addition to capturing the interest of visitors, is also conducive to customer engagement. And 2018 will be no different. 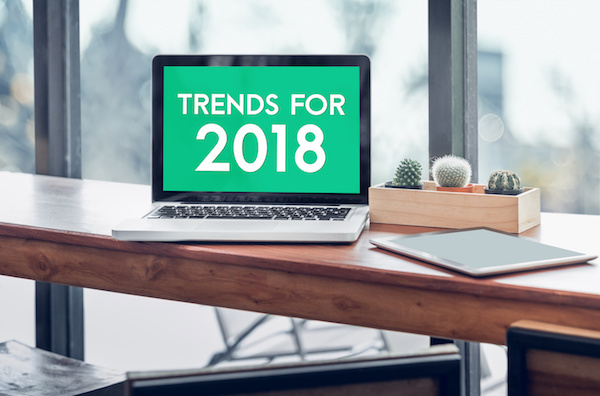 Here are five 2018 web design trends and predictions to consider when building a website. Up until now, most companies stuck to safe colors when designing their websites, but that’s about to change. Get ready for vivid, saturated colors to take over the internet. Striking, vibrant colors instantly capture the attention of visitors and are more memorable than neutrals. To remain current in 2018, web designers will need to provide visitors with information that is both personalized and entertaining. Companies will include more interactive content, such as polls and quizzes, on their websites to connect with their audience. Not only do illustrations provide a unique and efficient way to display information, but they are also eye-catching. They add a touch of playfulness to your brand while providing information that can be consumed within seconds, as opposed to text, which is more time-consuming to interact with. More and more companies will be working with illustrators to create engaging visuals. As a result of advances in technology, web browsers are better able to handle animation, which means that particle backgrounds and animated graphics will increasingly be used in 2018 in order to add visual interest to websites. Rather than have a static background, for instance, sites will feature subtle motion graphics, including scroll-triggered animations, to help attract the attention of visitors and create a lasting impression. It will be critical for companies to update their visual content to stay relevant in the new year. Customers will expect business to reflect diversity, including more women, people of color, individuals of different shapes and sizes. 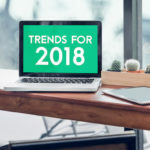 What do you think about these 2018 web design trends? Share your thoughts on these predictions in the comments section below. Color schemes should be vibrant as each color has different phycological effect on the user. It also make your website look asthetically pleasing and users will comes back to the website if it looks good.